Renewed U.S. sanctions against OPEC member Iran officially went into effect at 12:01 a.m. EDT. The sanctions did not include Iran’s oil exports. The country exported almost 3 million barrels per day (bpd) of crude in July. Brent futures LCOc1 rose 90 cents, or 1.2 percent, to settle at $74.65 a barrel, after hitting a session high of $74.90. U.S. West Texas Intermediate (WTI) crude futures CLc1 settled 16 cents, or 0.2 percent, higher at $69.17 a barrel, down from an earlier high of $69.83. Along with geopolitical tensions that could impact Iran’s crude output, traders are also keeping a close eye on U.S. inventories, which are expected to fall 3.3 million barrels in the week ended August 3, according to analysts polled on Tuesday. 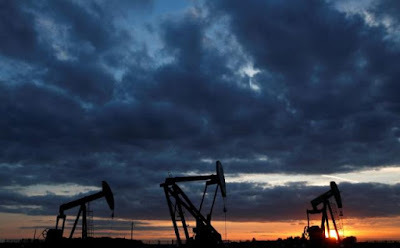 Crude futures briefly rose in post settlement trade, with WTI at $69.07 a barrel, on data from the American Petroleum Institute that showed U.S. crude inventories fell 6 million barrels last week. Oil prices rose earlier in the trading session after the U.S. sanctions on Iran went into effect, but gains were limited as market participants lacked clear signs on just how much the proposed oil sanctions would affect Iranian crude output, Kilduff said. U.S. President Donald Trump tweeted that the sanctions were “the most biting sanctions ever imposed”. “The market continues to price in geopolitical risk from the reimposition of sanctions by the U.S. on Iran,” said Gene McGillian, vice president of market research at Tradition Energy in Stamford, Connecticut.